HTC has finally made the HTC One M8 official on 25th of March, and the device is out on the market on the very first day of announcement. HTC says the One M8 will be the single largest product launch in its history, and will be sold on 230 networks globally. Before the end of April, it will be released in America, UK, Germany, France, China, Australia, and Taiwan. And it has been available in Bangladeshi market for the last few days too. But the worrying fact is once again there is no official channel in Bangladesh for any HTC products that’s why you won’t get any sorts of warranty with this 58,000 taka ($750) product. The HTC One M8 is available in Gunmetal Grey, Amber Gold, and Glacial Silver color options in various mobile brand shops around Dhaka city. 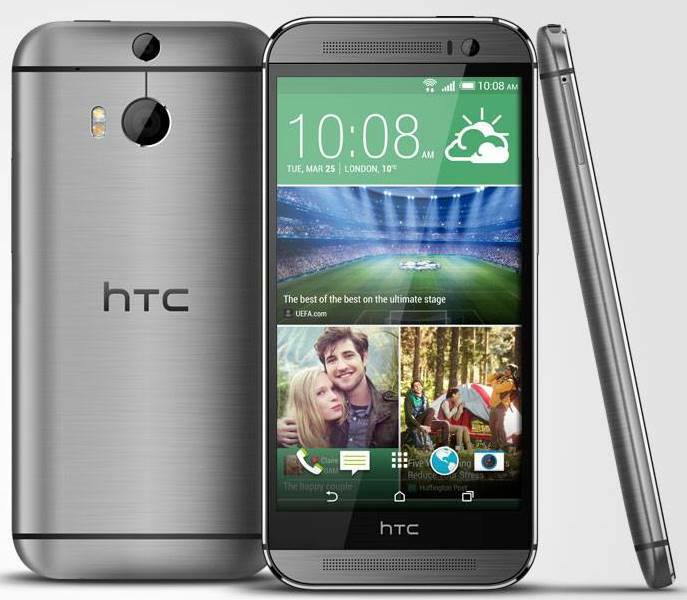 The all-new HTC One M8 comes with a 5-inch full-HD display and will be available in 16GB and 32GB storage options, with support for expandable storage via microSD cards of up to 128GB capacity. It comes with a body that's '90 percent metal' and exudes the same premium feel as its predecessor. The phone comes with 2GB of RAM. Another important selling point of HTC One M8 is the dual camera setup that puts a 4-UltraPixel camera alongside a depth sensing camera that lets you do cool things like refocusing images after they've been clicked and other stuff. A 5-megapixel front camera is included as well. HTC One M) comes with Android 4.4.2 KitKat along with a brand new Sense 6 UI on top, which HTC is calling the biggest upgrade since Sense debuted. The phone comes with a 2600mAh battery. But the real question is: Does the all-new HTC One have what it takes to win people’s hearts and wallets this time around, helping to return the company to former glories. Or will it suffer at the hands of Samsung and the Galaxy S5? I fear that at least in countries like Bangladesh or in Indian sub continental, it’s impossible to beat Samsung because of their monstrous marketing team. Samsung even have the manpower to sell their devices in street too where HTC lacks even official distributor. And Samsung Galaxy S5 with 2 years of warranty is even cheaper that non-warranty HTC One M8.